Sunshine for Your Heart-sharing the hope and love found in Jesus: CD Review and New Give Away! CD Review and New Give Away! It's no secret that my family loves to sing worship songs to the Lord. My husband has been leading worship for over 20 years and now our son, Zach, is following in his footsteps. We love music and incorporating it into worship. 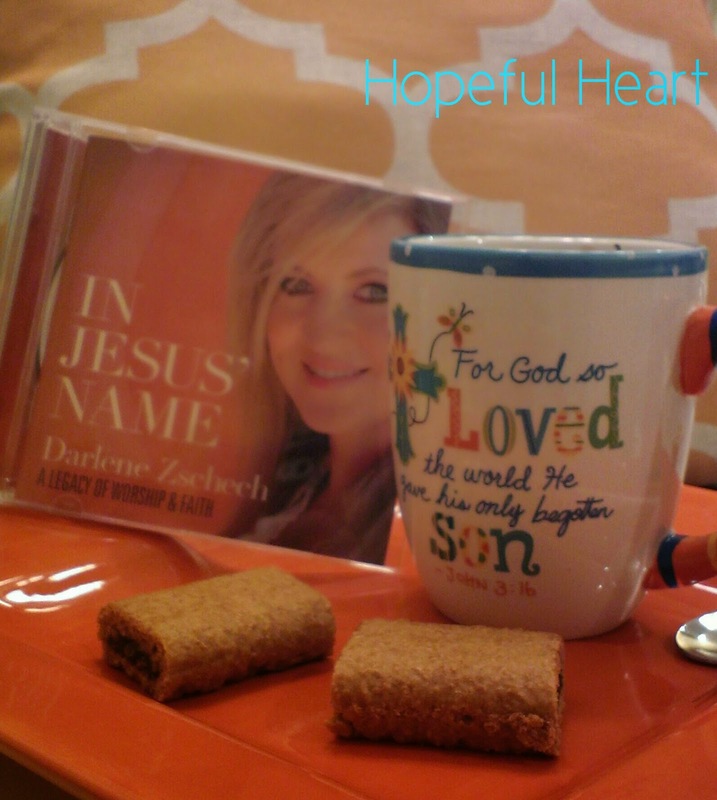 Recently, I received Darlene Zschech's newest CD, "In Jesus' Name: A Legacy of Worship & Faith" along with a gift certificate in exchange for an honest and unbiased review for Family Christian Stores. I was very excited for this opportunity to listen to this collection featuring new and old worship songs. In fact, my husband and I have used several of these songs during our very first worship services many years ago: Jesus, Lover of my Soul, Potter's Hand, Shout to the Lord, and Worthy is the Lamb. Start your morning off with a healthy dose of worship! Darlene's recent experience with breast cancer, treatments, and recovery have seemed to strengthen her call to leave behind a legacy of loving Jesus. I could relate with that journey because of my own Mom's battle with cancer over 5 years ago. Darlene's faith and strength come from her personal relationship with Jesus. Every song on this cd is not only praise and worship, but speaking of God's faithfulness, worthiness, love, peace, hope, and grace! As you listen to these songs, you can feel God's Spirit confirming the truths contained within the lyrics. I personally like the more acoustic sound of track # 14, Amazing Grace. However, all the songs are uplifting and hope-filled. I have often expressed how important I think it is to set aside time with God each day and this worship cd would make an excellent companion for your quiet time. I want to encourage you to saturate your home with good Christian music. You can purchase your own copy HERE. In fact, today we are kicking off a new give away for a $10 Gift Certificate to Family Christian Stores. The contest ends on next Thursday, March 5th. Please sign up today and spread the word! Have a great weekend!